"Lisa" stood for Local Integrated Software Architecture, but the clever acronym came after the fact, since the Lisa was reportedly named for one of the engineer's daughters. 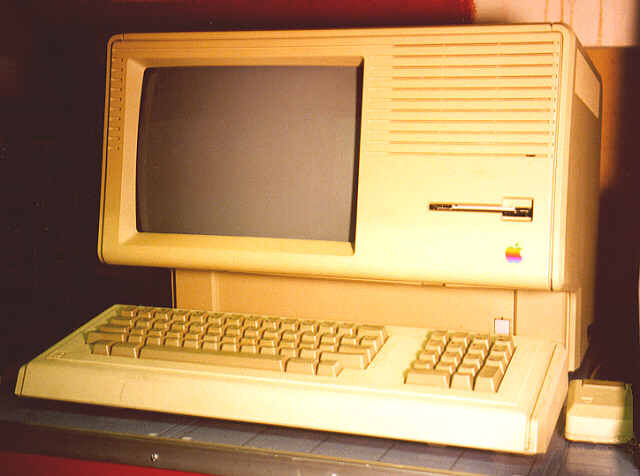 The Apple Lisa is the father of the Macintosh, and was announced a year earlier than the Mac 128. While many consider the Lisa to have introduced the graphical user interface (GUI), the Lisa was just one of several machines that attempted to copy the original Xerox Star, a computer developed at Xerox's Palo Alto Research Center (PARC) in the seventies. Another similar, failed attempt was the Corvus Concept. Physically, the Lisa was definitely a pioneer of the "tool-free" chassis. The front and back panels pop right off, giving easy access to the interior of the machine. This is somewhat ironic in that the Macintosh not only required a screwdriver to open, it required a special extra-long Torx screwdriver that became known as the "Mac screwdriver." The "tool-free" type of chassis didn't reach mainstream popularity until IBM's Personal System/2 machines in the late 1980s.